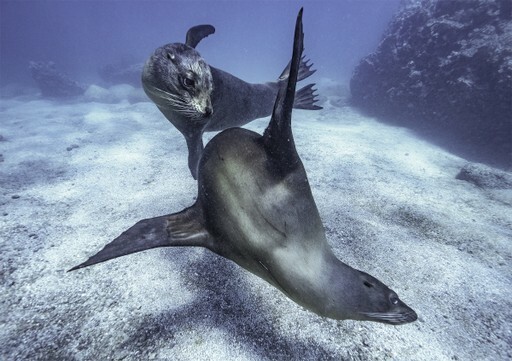 In the Galapagos Islands, seeing is believing. The Galapagos Islands are the definition of isolated. But that’s what makes them so special. These islands have experienced very little human influence and remain largely as nature intended, with a fabulous array of remarkable creatures and pristine landscapes to discover. Follow in the footsteps of Darwin and explore the archipelago where the lack of predators means that many animals are happy to let us humans walk among them. Beyond the wildlife these 19 islands are geologically fascinating too, their stark volcanic landscapes framed by pristine white sandy beaches and inviting, gin-clear waters. There are many wonderful experiences to be had on this fascinating archipelago. 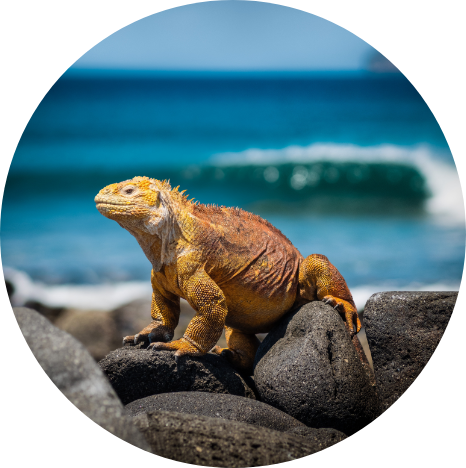 For further inspiration take a look at the trip ideas put together by our trusted local experts at the foot of this page, but in the meantime here are our top three things to see in the Galapagos. These wild pinpricks of land - sitting a thousand kilometres off the coast of Ecuador and slap-bang on the equator - are home to some of Earth’s most extraordinary creatures. Wildlife is everywhere, and you get the impression that the animals are in charge. The archipelago is home to some of the highest rates of endemism on the planet, allowing us to see evolution at close quarters. Adaptations to the harsh environment are extreme, unique, and still occurring in many species. Variety of habitats, of species, of landscapes is all part of the Galapagos experience. These islands are geologically very young, at 2 to 4 million years old, meaning that in some cases the barren volcanic rock is yet to support significant vegetation. Others are older, greener and more fertile. This in turn ensures a variety of ecosystems - from deserts and equatorial rainforest to the beaches and chill waters of the Pacific Ocean - each supporting a variety of life. Abundant birdlife is a feature of all the islands. Sea birds are unsurprisingly dominant, but there are also 29 species of land birds, 22 of which are endemic. How the land birds came to live here is a mystery, but nevertheless they are thriving. The most memorable aspect of Galapagos birdlife is getting really close to the action. You can wander among colonies of nesting birds and they barely notice. 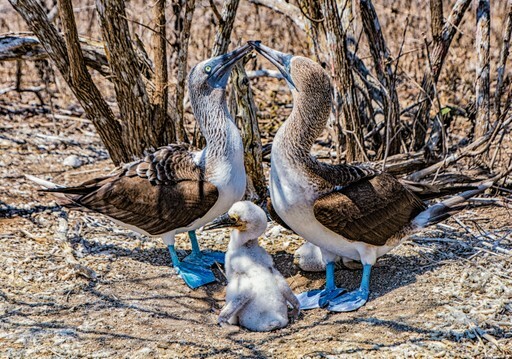 Major species associated with the Galapagos are the blue-footed booby, Galapagos waved albatross, frigatebird, Galapagos penguin, short-eared owl and swallow-tailed gull. When should I visit Galapagos Islands? The most popular months for visitors tend to be June, July and August, alongside December and January. In terms of climate, bear in mind that it can be a little unpredictable so far from any land mass, but generally speaking December to May is the sunniest period, although there will be some rain. Low season - June to November - brings slightly cooler temperatures, overcast skies and less rainfall. Divers prefer the cooler, cloudier period because the colder water brings even more diverse marine life to the islands. 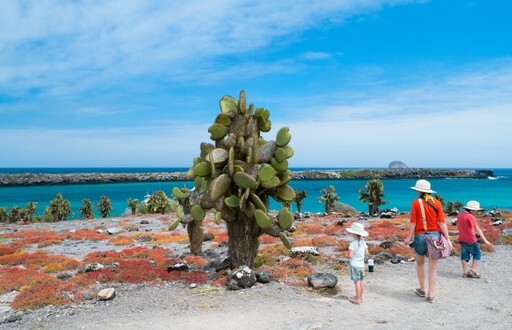 Create your bespoke holiday to Galapagos Islands!